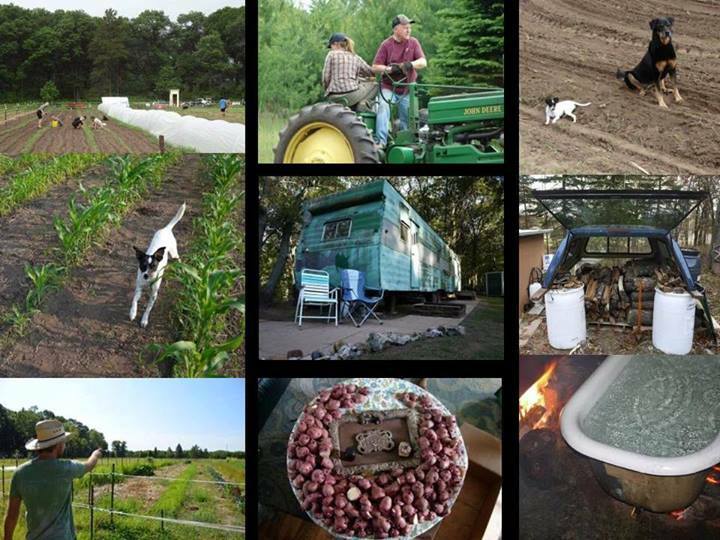 Que Sehra Farm is Kristin & Gabe Sehr’s labor of love & adventure in making a living (not money, but a meaningful, rewarding, & sustainable way of life). living on & from Family land – it may be wild and sandy, but there is no where we’d rather be putting down roots than here. intuition, interestingness, synchronicity, luck, beauty, and flow. spending our days connected to the sun, rain, wind, seasons, animals and insects, plants, each other, and our family and friends. 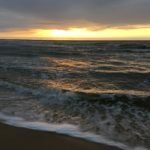 the challenge of creating a unique, sustainable way of life – to make a true Living, finding pleasure and meaning in who we are, what we are, where we are, what we are, how we are, and why we are. 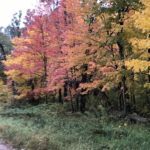 On June 19, 1959, Ben & Evelyn Sehr bought 20 acres of wooded land in the Sterling Sand Barrens, just a mile past the Saint Croix River that divides Minnesota and Wisconsin. 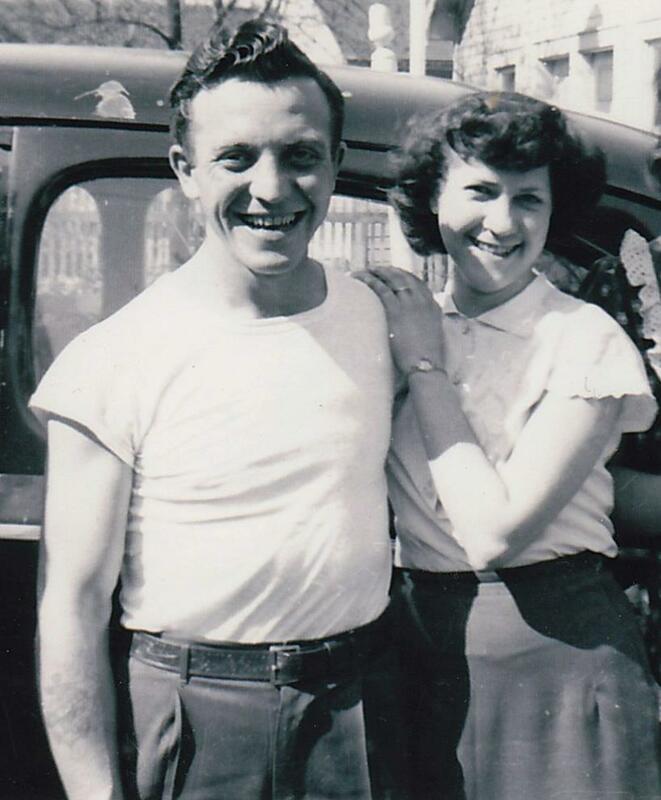 They loved their little patch of land – and throughout the rest of their lives they visited it often on weekends and holidays, gathering the family together there (including their granddaughter Kristin) – and planning to one day build a house and move out there full-time. But life had other plans – and they never did move out of Saint Paul. After they passed in the 1990s, their son (and Kristin’s father) Jim Sehr took care of the land, maintaining it as a seasonal hunting camp – featuring only a primitive outhouse, a beat-up 1953 travel trailer, and a couple acres of corn, to lure the deer in. This was the state of the land when Kristin realized that the forest service was not the career or life she wanted, and, while searching for a new course, remembered her childhood dream of being a farmer. 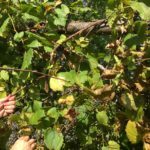 She returned from her travels throughout the southern and eastern U.S. and began a season-long internship at the Nitty Gritty Dirt Farm – a small organic operation on the sandy glacial soils just west of the Saint Croix River. There, she built a yurt to sleep in and lived and worked full-time on the farm. At the end of the season, they offered her the role of Farm Manager – but she had plans to manage her own farm, and was ready to start out. Kristin and I had been good friends for years, but during the year of the farm internship, we became partners, and at the end of her farm internship she moved in with me in my longtime South Minneapolis home. The first year or two, we both had jobs in the city, and Kristin would go to the Sehr family land to work on her garden. As time went on, the garden grew and I started coming out more and more often in my free time. 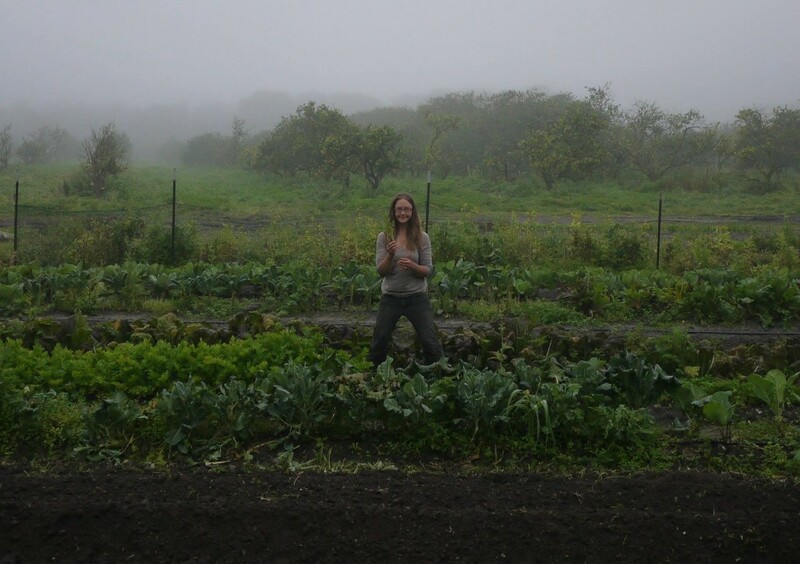 By the third year, we decided it would be awesome if Kristin could quit her city job and devote her energies to the garden – and turn it into a farm. 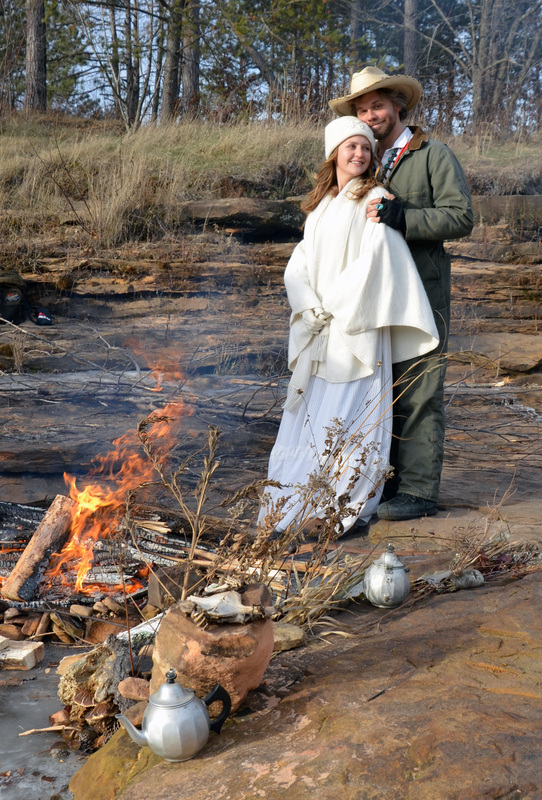 After an epiphany in August of 2012, I walked away from my comfortable but uninspiring career, we threw a huge garage sale, and got married. On New Year’s day 2013 Kristin and I moved out of our urban home, where I’d developed for almost 17 years. We didn’t go straight to the farm though – it was winter, and the old travel trailer on the farm didn’t have any source of heat or running water in winter. 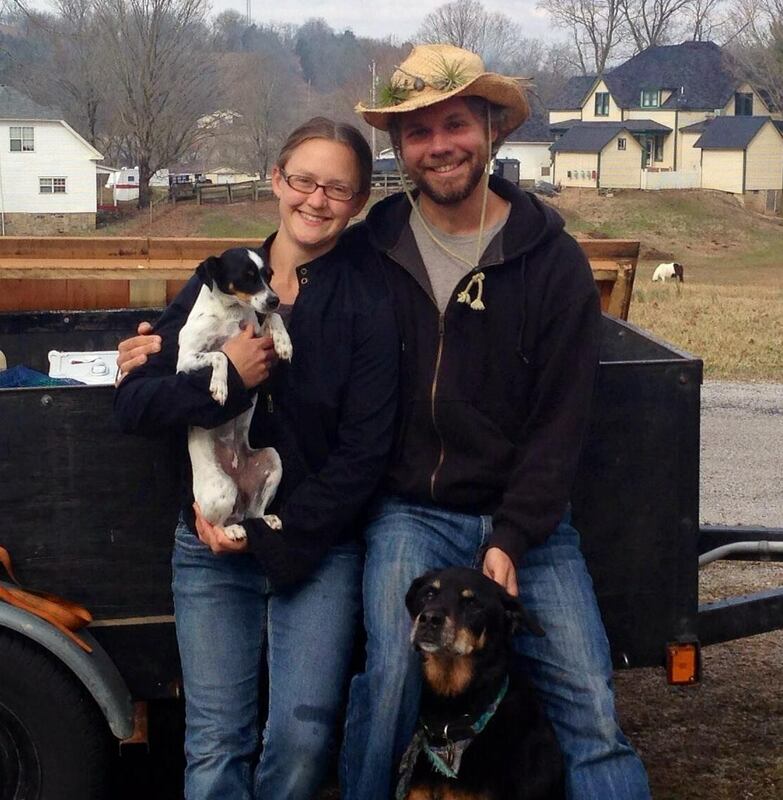 We headed South on a 2-month ‘working honeymoon’ with our dogs, helping on other organic farms in exchange for food, shelter, and opportunities to learn and connect. In the spring, we came Home to Que Sehra Farm, and set to work putting down roots and growing upward and outward into the Sun. Kristin likes plants; she majored in Natural Resources & Environmental Studies at the U of MN, travelled around the country working for the Nature Conservancy and the Forest Service, and interned for one year at the Nitty Gritty Dirt Farm, before starting her own farm in 2011 on the land that her late grandparents had loved – and which her parents continue to help us tend. 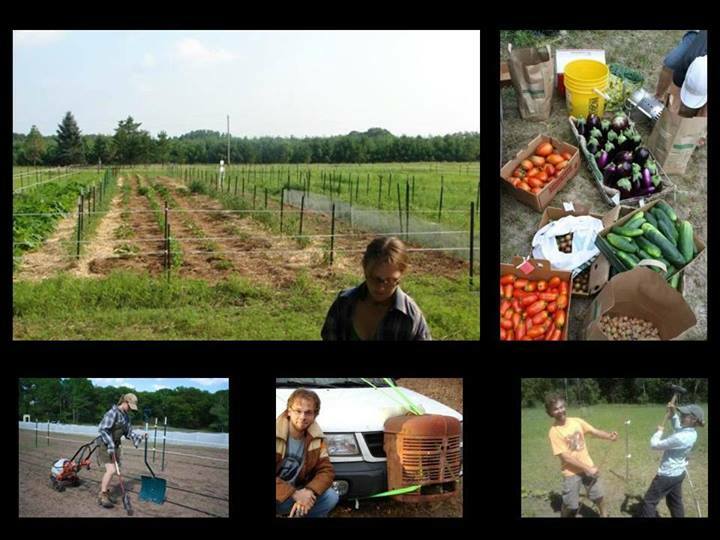 Before surprising himself and everyone else by becoming a farmer, Gabe spent 18 years of his life in the suburbs, followed by 18 urban years in South Minneapolis. While getting his degree in Religious Studies & Philosophy from the U of MN, he co-founded the Secular Student Alliance during the daytime, and launched the urban exploration crew Action Squad at night. 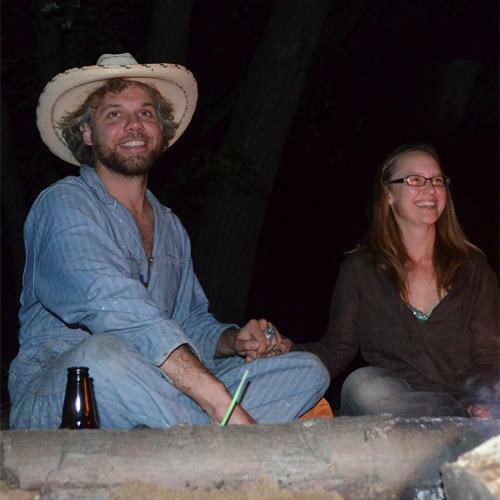 At thirty, he was metamorphosed by mystical experience and synchronicity – which changed his life and taught him to follow intuition and flow – a path which led directly to farm life with Kristin. 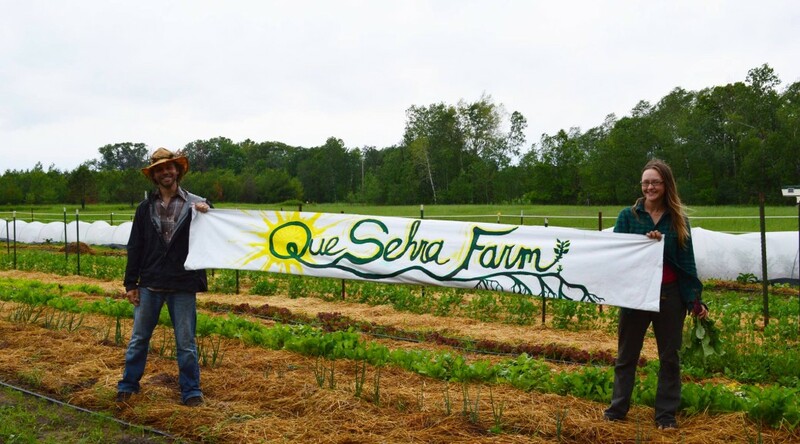 The name “Que Sehra Farm” was not merely chosen because it punned well with our last name. A fundamental principle of our guiding philosophy is expressed in those simple old lyrics. By not focusing on the future, we remain more present in the present, more alive in the moment, more attuned to the flow of life. We don’t know how things will go, or where we’ll end up, or how we’ll survive – but we have faith that we’re on the right path, that we’re doing what we’re supposed to be doing, and that it’s going to work out somehow or another – and we’re open to what comes our way. Life is short but also incredibly strange and beautiful; we’re surfing it and working to make some magic happen in our lives and on our patch of land. Nice! Followed you here from Action Squad… which I thoroughly enjoy. It looks like you are well into it. I congratulate you; I transitioned from owning a computer store. I got tired of Windoze, and no longer wanted to foist it off on my clients as a real ‘OS’. My farm is a bit larger than yours, at 140 A; we do not cultivate it all, and have woodlots for firewood for Ohio winters. we grow about 6A using tilled strips and “Mulch Cloth,” with a winter overcover (the name of which I forget, Johnny’s or Territorial sells it). Parts of it we have sequestered off for growing seeds. Again, I wish you the best of luck! Have been following you for a few years…loved ActionSquad. I can’t blame you one bit for the lifestyle you’ve chosen. My younger years (10-18) were spent installing wind and solar electric systems around northern Wisconsin and Minnesota, and I sadly ended up as a master mechanic, instead of sticking with that first love. I wish you both all the best, and should you ever want some wind/solar/power storage advice, feel free to drop me an email. And yes, this winter has been rough! Good luck and be safe…. Drew-hopefully you get this and it doeskin just get send to ol Gabe and Kristin. I recently purchased a home south of the TC and it has a solar heating system that boggles my mind. I want to know if it can be made functional or if it needs to be torn down. Home built 1973. Please email to discuss- thanks! My wife and I are going to be in Minneapolis on August 26. We can go a few days early and help out at your farm if you need helpers during that time period. Your narrative and journey attracts us, as we are in the beginning phases of a similar change in lifestyles. We both have Ph.D.s in psychology and recently resigned from long-standing jobs in order to set out on our own journey of self-discovery. At any rate, let us know if you are interested and we can discuss the details. Cheers. Loved the Action Squad site- still look at it to this day. 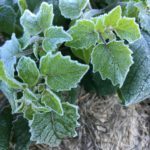 I am a home brewer and would love to see about purchasing some of the hops you grow. Heya! Just discovered the Action Squad website and I love it. I didn’t see the news post about your change of vocation until after I’d sent an email inquiring about the fate of Action Squad, so it’s good to know that everything’s going well. Enjoy the farm! Thank you so much for sharing your Action Squad adventures. You and the squad are internet legends. Glad to see you are doing well and enjoying life! Your action squad website is beyond awesome and as a young person in the Twin Cities it’s very cool to see what these places looked like, especially since many of them are now long-gone. Thank you for going to the trouble of documenting them, and keeping your site alive. Synchronicity occurred for me in the spring after my Father’s death on 10/13/2011 and the years following. I had been Dad’s Caregiver for over ten years, and was lost in sorrow that winter, stunned, not knowing how to cope, and wondering if I even wanted to live anymore, so I continued clearing childhood trails that spring, when ice and snow was still lurking in the shadows hidden from the sun, to stay physically and mentally healthy, and to ease my despair. Throughout my life, my refuge has always been the woods behind my hometown, a place called twin lakes, bean and bear lakes, two glacial lakes, in a double box canyon on the backside of silver bay minnesota. Walking around the lake as a child with my friends with fishing poles in hand, we would walk over large arrow shaped stones in the middle of the trails, that looked out of place. Then as an adult I walked over those same stones while clearing trails, and in a dense and difficult spot on the trail, I found a large intact curved hyperbolic flat grindstone wash stone with a much smaller hand size grinding stone washing stone on top, all covered in moss and surrounded by brush, as if the woman or man who had last used this stone, just left it there that morning. Then the following year, further down the trail around the lake, on a steep rock slide, I found a painting carving 3 feet square in size, on a huge skull shaped boulder, with flame orange, black charcoal, and bone white paint, I thought it was graffiti, but there was a smaller skull carved into the rock, and at that moment, I knew it was a man made artifact from long ago. My Synchronicity continued to grow in 2014, when I started photographing, GPS marking, mapping, and documenting online, everything I knew from childhood about these strange looking rocks in the area. Then I remembered these huge carvings I saw as a child, on the cliffs surrounding the remote hiking trails and snowmobile trails miles from town, so I went and photographed them, and I found the Holy Grail of archaeology, anthropology, journey of man, native american myth, and DNA, in North America. And like in the film Conspiracy Theory (1997) no one believed me, and I was not sure that I believed it myself, knowing the line between genius and insanity is very thin. Today, I write to everyone I can find that can help me figure this out, archaeologists, writers, teachers, government officials, geneticists, and try to publish articles on this topic, this discovery, a Wendigo Manitou carving of animals and a bearded human face on Mount Trudee in Tettegouche State Park. Week 18 News – Th-th-th-that’s All Folks! 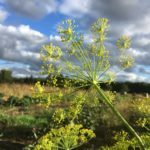 Week 17 – the second to last CSA News of the Year!